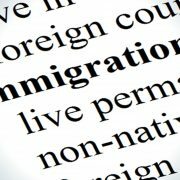 I was involved in a lengthy struggle with my immigration status for almost 14 years and I had sought legal advice from six different solicitors in the past with no success. However, as soon as I started working with Salma from Pickup and Scott Solicitors my case was smooth sailing from there. Salma was very supportive and she always gave me the best advice and ensuring she always gave me updates about my case. Salma made this process easier and made me feel at ease when she was handling my case. After only working with Salma for a year I was finally given my immigration status to remain in the UK. I remember just before Salma submitted my documents to the Home Office she told me that she had submitted the best application she could and she really did give it her best shot as I was finally approved! Salma has truly been outstanding and I can only imagine what it would have been like if I had worked with her from the beginning. Nonetheless, I am very grateful for all she has done and would highly recommend her. The Guardian picked it up and did a full page spread on them, they were on LBC the same day and 10 days later she was granted a visa. There was something about your manner as well as your advice which made it all possible, so thank you for that. I would like to testify that if anybody is having problems regarding immigration please do not hesitate to contact Salma Khan at Pickup and Scott solicitors. Salma has been my solicitor for some time now and I would advise anyone to get in touch with her as she’s very good in all aspects regarding the above. She has done it for me and my boys and I’m very grateful for the support and care she offered. I approached Salma Khan from PICKUP AND SCOTT SOLICITORS with regards to the acquisition of my indefinite leave to remain in the UK based on domestic violence which she assisted me to acquire. I personally liked the level of professionalism and empathy in dealing with my case. I found my experience with Salma very exhilarating and would, therefore, recommended SALMA KHAN to individuals and any organisation for her level of astuteness and professionalism. Windrush: How do you prove you’ve been living in the UK? How do you prove you’ve been living in the UK? It seems intuitively that anyone living and working in a country for a long period will leave a significant paper trail. So why are some finding it so difficult to prove? Part of the problem has been a requirement to provide four pieces of evidence for each year that a person has been in the country. To find out how Pickup and Scott can help you to prove how long you have been living in the UK please contact Salma Khan, our immigration law expert, today on 01296 397794. Here is the article from the BBC about the Windrush Immigrants situation. http://www.pickupandscott.co.uk/wp-content/uploads/2018/04/immigration.jpg 831 1200 Michele http://pickupandscott.co.uk/wp-content/uploads/2017/09/pickup-and-scott-solicitors-aylesbury-logo.jpg Michele2018-04-30 13:59:412018-04-30 13:59:41Windrush: How do you prove you've been living in the UK?